Whether you like it or not, dealing with PDFs are part and parcel of working with digital documents. Workplaces of every type conduct transactions with PDFs daily; students perform academic research with them; and business professionals constantly handle PDF contracts, proposals, reports—the list goes on. Regardless of which category of users you belong to, if you handle even one PDF file, you know the frustration of having to work with PDF content. Anything more complex than copying and pasting is virtually impossible, making PDF management and handling a less than ideal task. Fortunately, this is only true if you don’t have the right tools. There are PDF applications out there made specifically for such issues. Able2Extract 9 is one such tool. It’s a PDF converter, creator and editor that’s designed to help you handle PDF documents. Developed by Investintech.com, the latest version of Able2Extract contains PDF features that can make your work with the file format easier. Here’s how. The PDF format, as you know, is one that can’t be easily edited. Yet in order to work with the content in the PDF you need to convert it. However, when you can work with any number of different formats, your free single-format-PDF-converting web tool won’t cut it. But this doesn’t necessarily mean you need to buy multiple PDF tools either. Able2Extract can convert to over 10 popular formats for you including MS Word, Excel, PowerPoint, AutoCAD, Open Office and more. Everything you need is right on the command toolbar. 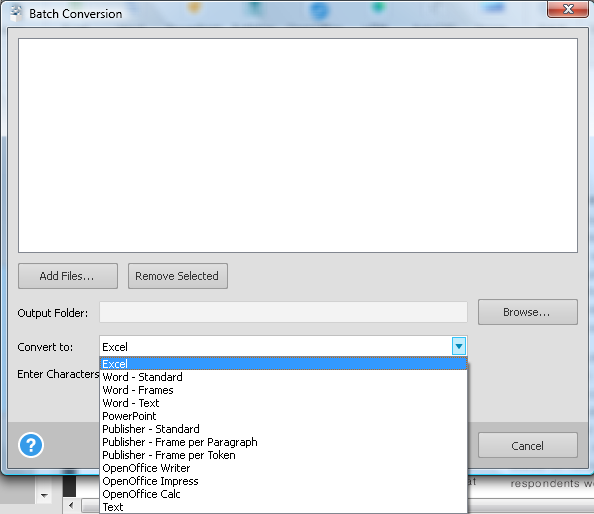 Open your file, select the content you want to convert, then click on the conversion format you want to convert to. Dealing with one PDF document to convert can be more than enough to handle. So you can only imagine what converting more than 20 or 50 PDFs must be like. This is where Able2Extract’s Batch conversion feature steps in. 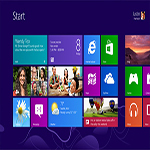 It can automate the conversion of multiple PDFs to different formats. Set up your PDF files, your output format and location, and Able2Extract does the rest for you. Because the PDF format is used for significant documents like resumes, academic papers, contracts or tax forms, you need to ensure that any PDF file you create yourself is professional enough to present in any of those situations. The PDF creation options in Able2Extract 9 allow you to polish up your PDF by adding in the small details. This includes a number of things like PDF file information and even deciding how your PDF is displayed when opened with options found in the View Tab. If you’re a student, banking customer or business professional, you know how important document security is. It’s one of the main reasons we turn to the PDF. There’s nothing worse than having a research paper copied, banking details printed or a contract modified without authorization. 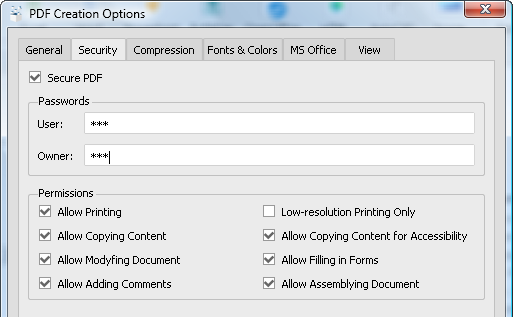 To help prevent that, you can add security options to your PDF document with Able2Extract 9. By simply selecting your options, you can add passwords and file permissions to decide exactly what users can or can’t do with your file. Although you primarily need PDF documents for locking down your content, there may be times when you receive a PDF file you wish to make changes to. We’ve all been there. For instance, you may want to delete blank pages or move a single page without having to recreate another PDF. With its PDF page editing features, Able2Extract will let you accomplish a few of the most common page revisions needed. 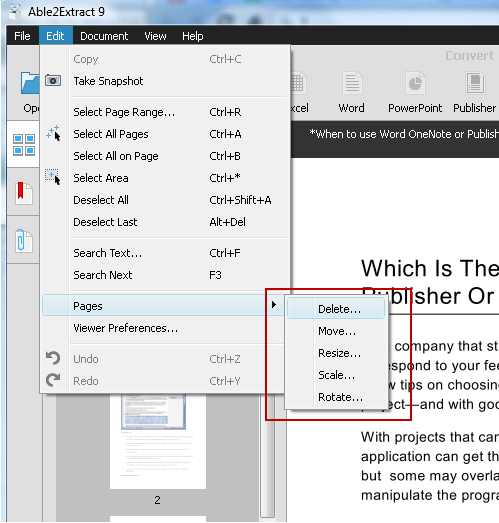 You can Move, Delete, Rotate, Resize and Scale individual PDF pages as needed. You work directly within the PDF file itself so you get direct control over your PDF pages. If you work in finance or accounting, the majority of your work involves working with numerical data stuck in PDF tables. Whether it be for an audit, balancing a ledger or calculating monthly totals, Able2Extract’s custom PDF to Excel conversion option is great for controlling PDF financial data at the content level. 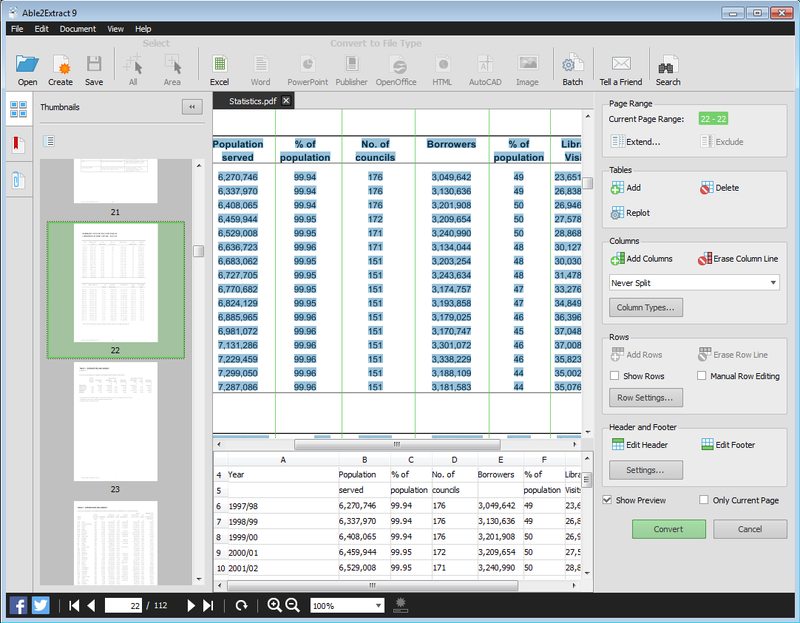 Using Able2Extract’s custom PDF to Excel conversion feature, you can designate the rows and columns of complex tables to accurately convert the data into formatted Excel spreadsheets. You can then preview your results before you even convert, so the results turn out exactly how you want them. 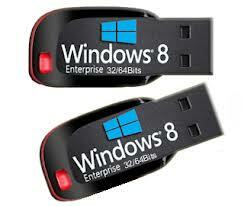 To test out the features above for yourself, download Able2Extract 9 free for 7 days. A single full version license is available for $99.95 and is compatible with Windows, Mac OS X, and Linux (Fedora and Ubuntu) platforms.